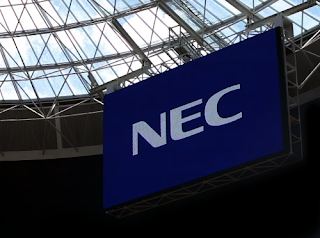 NEC Corporation announced a "Network Functions Virtualization (NFV) Cloud-Radio Access Network (C-RAN) Solution" built on Intel processors and enabled by software-based wireless base station functions. The solutions uses Intel Architecture to handle functions that control multiple wireless base stations connected via Ethernet. "NEC launched a range of innovative SDN/NFV solutions on the market ahead of our competitors," said Nozomu Watanabe, General Manager, Mobile Radio Access Network Division, NEC Corporation. "Looking forward, NEC will capitalize on its NFV C-RAN solutions and Management and Orchestration solutions in order to contribute to the highly efficient facility operations that are necessary for 5G." "Intel is collaborating with global operators and telecom equipment manufacturers to develop more intelligent and agile networks that lay a foundation for 5G. Innovations in areas like cloud RAN offer increased flexibility to support a breadth of new use cases and will help accelerate progress toward 5G," said Sandra Rivera, vice president and general manager of Intel's Network Platforms Group. NEC and Intel will be running dynamic demonstrations and showcasing the effectiveness of this NFV C-RAN solution at this week's Intel Developer Forum 2016 (IDF 2016) in San Francisco.